The Church of Our Saviour, established in 1867, has a long and rich history of serving the families of this congregation. 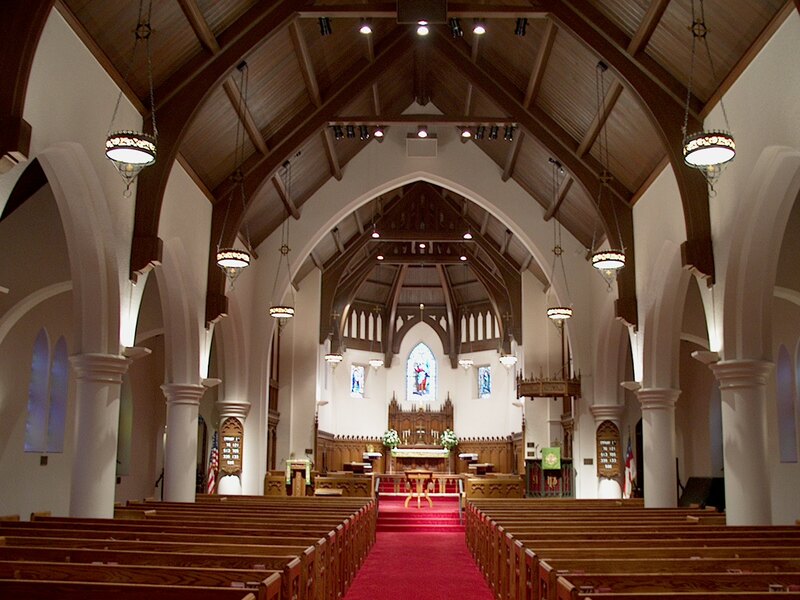 From the time that the congregation relocated to its current site, the sanctuary has undergone several major expansions to increase it's seating and functional capabilities. During an extensive interior renovation, SIE was hired to design and upgrade the 30 year old sound system. 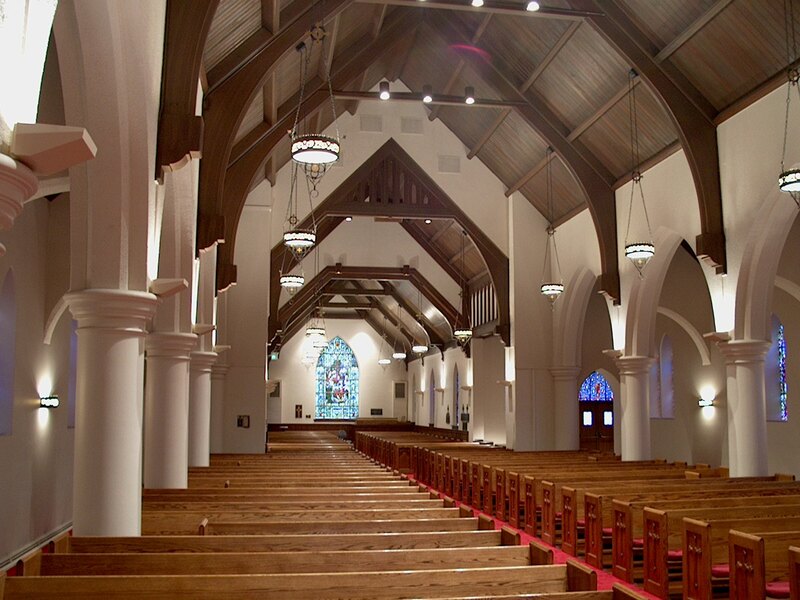 With a beautiful space that presented many 18th century stained glass windows and intricate wood carvings, the church was concerned with the appearance of the new audio components and insisted that they remain discrete. The music ministry's blending of traditional and contemporary musical styles needed a system capable of full-range performance supporting soloists and choral ensembles, an assortment of live instruments, and prerecorded sources. The sanctuary's seating was over 125 feet from the first pew to the last. To maintain a low profile, the speaker system utilized identical full-range enclosures, located at three positions along the room's center-line. Each speaker was finished to blend into the background color at each location. Additional monitor speakers were installed in the chancel for the choir and organist. A new mixing control area was built at the rear of the sanctuary where the digital system processing, amplifiers, mixer, and wireless receivers were located. To simplify the operation, a sequential power system was installed to give the custodian or operator a simple, 1-button control to turn the system on or off. SIE's engineer configured the mixing console with standard settings that were setup for services with and without a system operator. During larger services or events, a sound person would be present to operate the system.